“Expertise” is one of those concepts that seems to get vetted every now and then, and in the current climate of complexity, collective impact and networked approaches to change, there is certainly good cause for this. Mark Twain once quipped that what made the expert an expert is being from someplace else. There may be some truth and value to this view when a set of “outside” eyes can lend new perspective to a situation. And certainly it has often been the case that deference is given to this manifestation at the expense of local and other sources of knowledge. Expertise when left unexamined can create significant problems, especially in diverse multi-stakeholder settings. Typically, expertise has a very intellectual/academic ring to it. 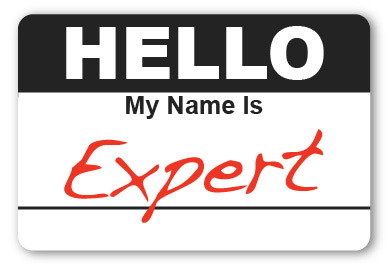 If someone says that it’s time to call in an “expert,” who comes to mind? There is time and place for a more formally studied brand of expertise. However, expertise can also be based in other forms of knowing, including lived experience, which can all too easily be marginalized and along with it the voices and engagement of many of those most negatively impacted by an issue/situation. Expertise in many contexts is racialized and gendered to equate, knowingly or not, with predominantly outspoken white male perspectives. See, for example, this piece from Soraya Chemaly on how women’s speech is often granted less authority and credibility than men’s. So there is a cautionary tale in what Miranda Fricker calls “epistemic injustice.” That is, people can easily privilege something as “expertise” or someone as “expert,” which ends up having much less to do with actual content/value and much more to do with the (privileged) messenger. This can in turn lead to (continued) dismissal or marginalization of equally or more valid perspectives/knowledge, which produces/reinforces inequity and likely leads to erroneous conclusions. This might cause angst among those who just want to “get down to work,” keep some semblance of “control” and/or preserve their expert standing. The counter to this is to insist that there is real systemic diversity “in the room” to start with and to maintain ongoing lines of inquiry around whether people are simply reinforcing the status quo and systems they say they want to change or validating their own knowledge and egos at the expense of long-term success.